In order to provide prospective students with the best chance at having a great education, we have compiled this list of the top universities and colleges in Pennsylvania. Some schools may excel at online programs while others may focus exclusively on the traditional, on-campus aspect of higher education. Regardless of the delivery format, these schools excel at providing a quality education for their students. There never seems to be enough time to do everything you need to accomplish each day. Work, responsibilities, family, hobbies, financial needs, and everything else take a toll on the hours of the day. And with everything else needing to get done, going back to school seems almost impossible. And while attending a traditional campus might not be an option in certain circumstances, obtaining an education, especially through one of the fantastic online colleges in Pennsylvania, is always available for those with the willpower to succeed. Online Colleges in Pennsylvania have been around for as long as the internet, and some institutions in the state have been offering correspondence courses as far back as 1892. Whatever your circumstance, online education is getting better every day and is just waiting for you. To help you choose the school a school that’s right for you, we have put together a list of the best colleges in Pennsylvania. Every school on the list provides students with exceptional experiences and education and one of them is the perfect fit for you! Founded in 1889 as Slippery Rock State Normal School, the school was created with the single goal of training teachers. Today, Slippery Rock University is a four-year public, comprehensive university offering a number of academic programs (both on-campus and online) and providing educational opportunities to more than 8,500 students. The school offers a Bachelor of Science in Business Administration and a Bachelor of Science in Nursing. Students who have already completed 60 or more credits can take part in the Bachelor of Science in Interdisciplinary Programs major, allowing them to work closely with a faculty member to design their own individualized educational track. With perhaps one of the largest online offerings in the state, students at Penn State World Campus have the opportunity to choose from over 30 online bachelor’s programs. Penn State also offers online associate’s degrees, graduate degrees, and certificate programs, all delivered asynchronously. As an innovator in non-traditional education, Penn first started offering correspondence courses in 1892 via the mail. With the advent of the internet, Penn switched over to the format and officially developed Penn State in 1998. Pitt, founded in 1787, boasts a host of awards for its high-quality education. #1-best public college in the Northeast region of the US, #24 best public university in the US, and #66 in the national university list. Pitt is also well known for being military friendly, doing all that it can to ensure the success of veterans at its institution both in and out of the classroom. The City of Pittsburgh is also well known for being an excellent starting spot for recent graduates looking for employment. Pitt offers degrees to students in the form of graduate programs taught by the same expert faculty that instruct on campus. Online students have access to digital libraries, academic advisors and more. Temple University is best known for its excellent education in its science, healthcare, and education programs. The school’s success in these fields is perhaps best documented by it rating as one of the best universities in the nation according to Financial Times and U.S. News & World Report. Temple offers students the ability to learn either entirely online in an asynchronous format or in a combination of online and in-class hybrid style. Millersville University provides online students with the ability to complete their certifications, bachelor’s degree, and master’s degree online, as well as offering three online graduate certificates. Students who are planning to enter the education field can choose from two online certifications the school provides for future educators: an online instruction endorsement and a STEM teaching endorsement. Millersville also offers an RN to BSN degree completion program online meant for registered nurses who are looking to earn their bachelor’s degree. Students can receive graduate certificates in coaching education, gifted education, and nurse educator studies and master’s degrees in special education and emergency management. Edinboro University offers both undergraduate and graduate classes online. However, undergraduate degrees cannot be completed entirely online and are therefore not considered online degrees. Most of Edinboro’s graduate online programs center around education, with the programs designed specifically for teachers to obtain their master’s and endorsements. Edinboro offers one of the first online accredited Master of Art in Counseling – Art Therapy degree, which prepares their students to be licensed and registered as art therapists. The school also offers a master’s and a Doctor of Nursing Practice degree online. Indiana University of Pennsylvania offers a number of undergraduate and graduate classes online. However, students cannot complete all of their degree requirements online. The school also offers some graduate programs in a hybrid format – a mix of traditional on-campus schooling and online work. Some of the graduate online degrees include a Master of Arts in Adult and Community Education, a Master of Arts in Criminology, a Master of Science in Food and Nutrition, a Master of Arts in Art, and a Master of Science on Safety Sciences. The format in which these degrees can be completed depend on each individual program. For example, the Master of Science in Safety Sciences offers a hybrid format that includes online classes with one-week, on-campus summer classes while the Master of Arts in Art offers online classes during fall and winter but not summer. 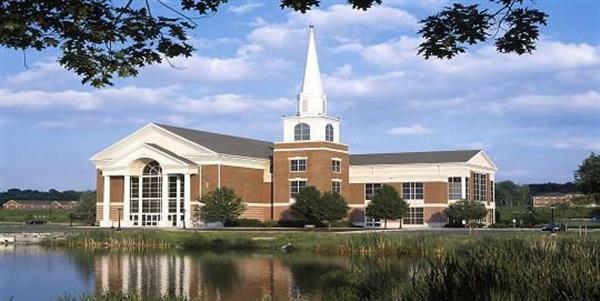 Ranked by U.S. News and World Report as a Best Value School and a Top Region College, Geneva College was founded in 1848 by the Reformed Presbyterian Church of North America. An exceptional place for students looking to complete an online education in a Christ-centered atmosphere, the school offers regularly paced and accelerated courses of study. Students following the accelerated program can complete a degree in as little as 16 months. In order to ensure their success, online students also have access to all of the student services available to their on-campus counterparts. Founded in 1849 by the Cumberland Presbyterian Church, Waynesburg University has always been a school of firsts. As the first college to offer degrees to women and to televise a football game in the United States, Waynesburg continues its tradition of expertise and innovation in online education. With care for students and their needs, Waynesburg offers quality and fresh education to all non-traditional students. Peirce College knows that life can change in an instant, and with it, the needs of the student. Because of this Peirce offers all of its classes in the Peirce Fit® format so students have the freedom to switch back and forth between the traditional classroom and online learning every week. For adult learners with previously earned college credits, Peirce offers generous transfer policies as well as three degree completion programs. Career-focused programs have coursework that is offered asynchronously and can be accessed anytime and anywhere with an internet connection. In addition to the asynchronous format, students have access to all on-campus student support, including advisors, tutors, academic workshops, and career development services. Saint Francis University is the oldest Catholic university in the country dedicated to Franciscan values. The university provides more than 50 academic programs, an inclusive community of learners, and various opportunities for research, internships, and community service. Saint Francis also offers a number of certificate, bachelor’s, and master’s programs for students who want to go the online route. The school offers a Bachelor of Science in Health Studies as well as a Bachelor of Science in Behavioral Science through their online school. Online students can also take advantage of the valuable Autism Spectrum Disorder Endorsement for professional educators program. Founded in 1921 and named after Robert Morris, a signer of the Declaration of Independence, RMU offers its students online bachelor’s and masters degrees as well as a variety of certificate programs entirely online. RMU emphasizes the importance of personalized and individual attention for everyone, providing each student with a career coach and a wellness coach, designed to help students set and work toward their career goals as well as succeed personally, academically and professionally. In the spirit of this same commitment, the same faculty that teaches on campus teaches all online classes. Duquesne, Pennsylvania’s first Catholic university, was founded in 1878 by Father Joseph C.S. SP. and the Congregation of the Holy Spirit. Students at Duquesne can participate in online courses in Pennsylvania for a bachelor’s, masters, or doctoral degree, as well as a variety of certificate programs. Most of these programs are available entirely online but a few require on-site visits or orientation. Duquesne University is ranked by U.S. News & World Report for their bachelor programs and their online Graduate Nursing programs. The university also provides as many resources as possible for the success of their online students, including an online writing center, technical support and online librarians available by chat, email, text, or phone call. Nearly 78% of Central Penn’s students are enrolled in an online course. These students come from anywhere in the state or anywhere in the country, adding a unique sense of diversity and culture to classes at Penn College. With such a large body of students as distance learners, Central Penn knows that digital communication and top of the line quality is essential to effective learning. CPC prides itself on not only it’s technological use in regular academia but also in its available information technology programs. 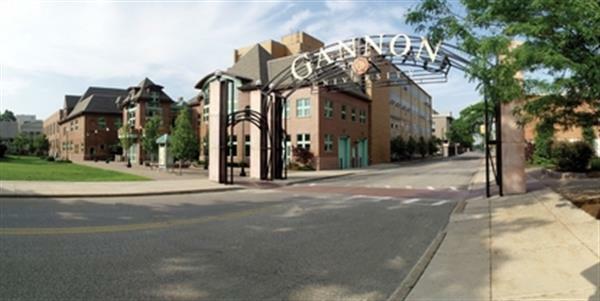 Originally founded in 1925, Gannon is a Catholic University promoting academic success and ethical leadership. Classes are taught asynchronously and after an initial orientation, students are able to view coursework at any time. Flexible and convenient scheduling allows students to finish a degree within 18 months. Gannon University has been listed by U.S. News & World Report as one of “America’s Best Colleges” and a “Best Value School”. Carlow University is known throughout Pennsylvania for its innovative use of technology in academic settings. The school regularly uses mediums like video conferencing, social media, chat platforms and other tools to advance and enhance the learning experience. Classes are offered to students primarily online but some degrees such as fine arts and nursing practice, do require some in-person work with faculty. Marywood University’s mission is to help students to “live responsibility in an interdependent world”. In this effort, students commit to participating in some form of community service throughout the course of their studies. The student to faculty ratio is a low 11:1, giving students the personal attention needed to succeed. Point Park University offers more than 100 undergraduate and graduate degrees to more than 4,000 students. Their online programs, which includes certificate programs as well as bachelor’s and master’s, focus primarily on applicable knowledge. Point Park University’s online programs are designed with students seeking career advancement and professionals in mind, which ensures the programs are flexible and are delivered by leading professionals in their respective fields. Online students can receive a Bachelor of Arts in the fields of advertising, public relations, and organizational leadership as well as Bachelor of Science degrees in the fields of public administration, criminal justice, accounting, information technology, and business management. Students at DeSales complete one of the 12 online courses either full-time or part-time in six to eight-week sessions. Classes are offered in either a hybrid format or entirely online in an asynchronous fashion. The school also boasts 11 start dates, providing flexibility and convenience to students regardless of their circumstances. With a generous transfer policy of up to 75 credits and the potential for credit through military or work experience, DeSales truly does offer an exceptional and affordable experience for prospective students. Wilkes University offers online students 16 masters degrees and 10 certificates/ letters of endorsement programs. The university was ranked 25th in the nation for economic value by The Economist and has also been recognized for its affordable price and high education by The Brookings Institution, Money Magazine, and Smart Asset. The school believes in the well-being of the student and approaches learning in a very holistic and inclusive style. The University of Scranton was founded in 1888 and is one of the 28 Jesuit institutions of higher education in the country. As a Jesuit institution, the school focuses on ethics, social responsibility, and providing students with the foundation needed to succeed in the academic, personal, professional, and religious aspects of life. Scranton has been one of the top ten master’s universities as determined by U.S. News and World Report for the past 23 years. Although the school has since become coed, Cedar Crest was originally founded as a private women’s college in 1867. The school still prides itself however on providing women with the academic tools they will need to succeed. The school has been ranked by U.S. News and World Report as a Best Value School and a Best College for Veterans school. The school has also been named one of the Top Regional Colleges in the North. Online classes are offered to students primarily in a hybrid format. UPenn was founded in 1740 by Benjamin Franklin and is now considered one of the eight Ivy League Universities. The school’s notable alumni include U.S. Presidents William Henry Harrison and Donald Trump. Online programs at UPenn are limited but are offered entirely online or in a hybrid format, depending on the course and the desire of the student. Students can also take classes offered as Massive Open Online Courses. These courses are not for credit but are taken purely for personal academic achievement. King’s College provides students with the opportunity to complete any number of degrees, both undergraduate and graduate, entirely online. The school also offers pre-professional degree programs. Students seeking a Bachelor of Arts or a Bachelor of Science degree online can choose from a number of subjects and academic areas including religious studies, psychology, business administration, healthcare administration, and criminal justice and information technology. Distance Learning students can expect to receive the same comprehensive, interdisciplinary education as traditional, on-campus students at King’s College. Founded in 1848 by Reverend Samuel K. Brobst and the Evangelical Lutheran Church in America, Muhlenberg College provides educational opportunities for over 2,200 students. Named after Heinrich Melchior Muhlenberg, a German Lutheran missionary and pastor known as the Father of the Lutheran Church in the United States, Muhlenberg College operates today as a private liberal arts college and offers a number of professional certifications and undergraduate degrees. Students interested in online classes can take advantage of the school’s selection of for-credit online courses, which are provided in a blended format of on-campus classes and online coursework. SJU was originally founded in 1851 by the Catholic order known as the Jesuit. The school is the 7th oldest of the 28 Jesuit schools in the United States. Jesuit institutions follow the mantra of cura personalis (care for the entire person) and focus their course of study on providing students with a holistic and well-rounded education for success in their educational, personal, and religious endeavors. In a fulfillment of this goal, students work with their own network of counselors, advisors, and professors, to plan and achieve their greatest level of success. Saint Joseph’s offers 15 online programs in Pennsylvania in the form of bachelor’s and master’s degrees and certificate programs with a rolling admission. The university has been recognized by U.S. News & World Report for excellence in their online MBA and Graduate Programs, including their exclusive Masters in Executive Food Marketing Master of Business Administration. Immaculata University is a private Roman Catholic university founded in 1920. While originally founded as the first all-female college in Philadelphia, the school became co-ed in 2005. The school offers ten associate’s and bachelor’s degree programs to students completely online and boasts an impressive 92% online retention rate and 70% graduation rate. Online students have a variety of resources available to them for their success including online writing aid, tech support, and an online library and librarians who are available via email or over the phone. Philadelphia University (PhilaU) was originally founded in 1884 as a textile school and over time expanded into the university that it has become today. Online courses at PhilaU are offered six times a year in an eight-week format, allowing students to complete one of the nine offered bachelor’s degrees in as little as two years. PhilaU has a remarkably high job placement rating, with a reported 95% of graduates being employed or enrolled in a graduate program within six months of graduation. 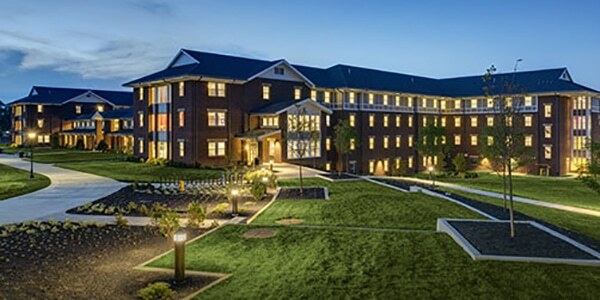 Founded in 1899, Elizabethtown College offers 13 accelerated undergraduate and graduate degree programs to students, allowing them to complete a degree on a part-time schedule in as little as two years. Degrees can be completed either entirely online or in a hybrid style format, giving students the flexibility to create the best learning environment for their preference and needs. Online student resources include an online job board, and online library and help desk available through email, texting, or a phone call. Founded in 1921, Rosemont finds its roots in Catholic values and religion. Rosemont particularly emphasizes online study in Pennsylvania in the fields of master’s degrees and graduate certificates but they do offer one online bachelor’s degree in the field of criminal justice. Courses are designed to be five weeks long and are taught in an asynchronous style, giving online students the freedom to complete courses anywhere and at any time. Rosemont degrees are also able to be completed in a few as two years, and the school offers a generous transfer policy of up to 84 credits. With over a third of its student body currently enrolled online, Chatham knows the importance and adaptation and the needed for academic success online. Chatham’s courses emphasize practical and relevant skills, current and up to date information, and experiences that can directly translate into real-world work and a successful future career. Due to state requirements, Chatham is unfortunately currently unable to enroll students from Alabama, Arkansas, Iowa, Minnesota or Wisconsin. Drexel University first began offering online degrees to students as early as 1996. Ranked #14 in Most Innovative Schools by U.S. News & World Report, Drexel has always utilized technology to the greatest advantage of the student. One way in particular that this is implemented, is through their Online Test Drive, an opportunity for students to participate in class discussion and submit sample assignments, ensuring that online learning at Drexel is the right fit for them. Widener University was first founded in 1821 as an all-boys school and became a military academy in 1862. The school received its current university status and name in 1972. The university’s online options in Pennsylvania for students include associate, bachelor’s and master’s degrees. Resources available to online students include an online job board and an online library with librarians available through email, text, or over the phone. Any of these colleges would be a great place to start if you’re considering earning a college degree. Every school on this list was hand-picked due to its efforts to not only provide top-level education but also to provide for student success in every way possible. If your school isn’t listed here but deserves consideration for a future list, please contact us today!